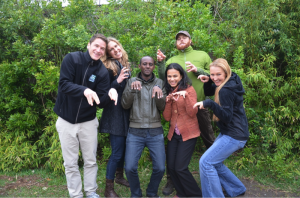 The EWCL Giant Armadillo Team (GA-Team) working in collaboration with the Giant Armadillo Project of Brazil, utilized the media hype surrounding the 2014 World Cup armadillo mascot and created media and educational materials to increase awareness about the giant armadillo. Zoos were selected as the primary audience and driving force due to their captive audience, conservation investment, education expertise and popular armadillo ambassadors. Educational materials in English and Portuguese were shared with the conservation and educational departments of 45 international zoological institutions for visitor education and media outreach during the 2014 FIFA World Cup, whose mascot was an armadillo. The GA-Team’s materials were disseminated to an additional 50 zoos within Brazil by the Brazilian Association of Zoos and Aquariums’ Tem Tatu Aqui campaign and were included on the campaign website. The campaign was a collaboration between the Giant Armadillo Project and Brazilian Zoo and Aquarium Association (SZB) to increase awareness of all endemic armadillo species in Brazil, utilizing the giant armadillo as the flagship species. The Tem Tatu Aqui website had received 1,500 views as of December 2014. Materials were also presented during both the 2014 American Association of Zoos and Aquariums conference and 2014 Brazilian Association of Zoos and Aquariums congress, and shared with approximately 300 recipients associated with the American Association of Zoos and Aquariums Pangolin, Aardvark, Xenarthra Taxon Advisory Group (AZA PAX TAG). Materials were also made available on the PAX TAG website. The Giant Armadillo Project intends to continue the awareness campaign by having all materials translated into Spanish and presented at the Latin American Zoo and Aquarium (ALPZA) Conference in 2015. To quantify the outcomes, all receiving institutions were asked for feedback on the usage of materials. A minimum of 60,500 guests were educated utilizing the materials of which 23,000 were from Brazil, where giant armadillos are endemic. 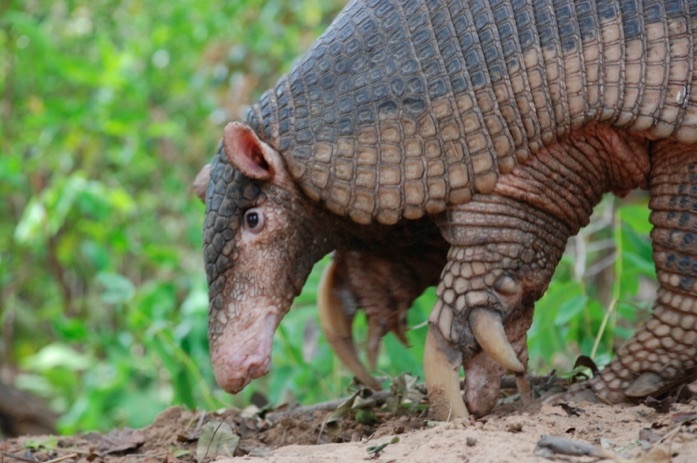 A 19 page Media Packet including general information on armadillos, prehistoric armadillos, genus and species overviews, threats, ecological importance, role in human health and culture, as well as a Giant Armadillo Project overview. A 15 page Species Overview of all 9 genus of armadillo, as well as specifics for each of the 21 species of armadillo including information on range, size, IUCN Red List Status, and threats. Nine interactive education lessons for children for use within classrooms or zoos; a teacher resource manual with armadillo information in child-friendly terminology; suggestions for actions to be taken by children to protect armadillos. Children’s educational activity materials such as coloring pages, games, vocalization recordings, masks, footprints, and large life sized giant armadillo props such as claws and photos. The products will have been distributed in English, Portuguese and Spanish by the end of the project. The GA-Team wishes to thank its supporters for the generous funding and in-kind support. The “Tem Tatu Aqui” initiative and website was highlighted in a National Geographic Brazil article as well as several Brazilian conservation and television websites. For education and media materials to assist in spreading giant armadillo awareness please visit the “Products” tab of this project overview to access PDFs in English,Portuguese, and Spanish.